Your gift in this area allows us to meet our most urgent needs immediately. These funds help us react quickly to the best care for our children. Our children can be the next generation of leaders in Guatemala. To help them achieve their dreams, we design individualized education programs that best meet each child’s needs. Whether bilingual school, vocational school, programs designed for those with special needs, or homeschooling, our programs offer our children opportunities to learn in the environment best suited for them. We believe in caring for the whole child. 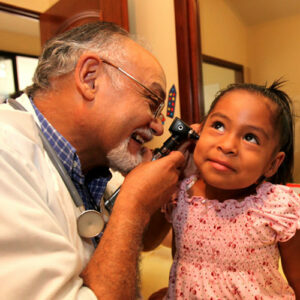 Our staff physician and nurse care for our children daily and manage the overall health of our home. Meanwhile, our staff psychologist helps our children navigate their emotional trauma. They find ways to express their feelings, manage their anger, and learn to trust again. Our home is focused on giving children the best care and promoting their well-being and spiritual health as they heal.